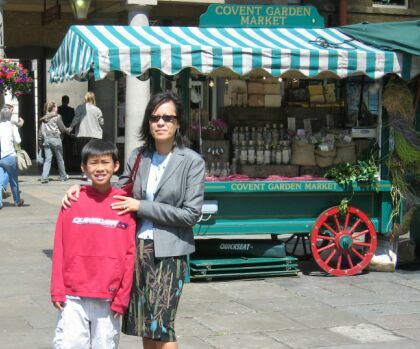 Covent Garden is one of the London's biggest tourist magnets. 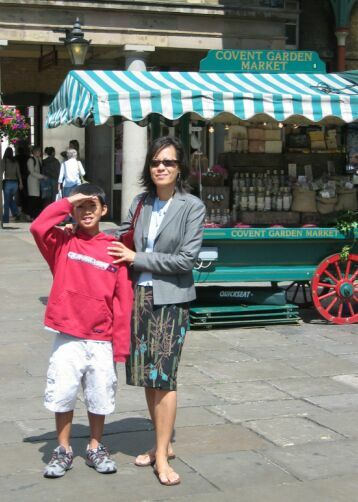 A former fruit and vegetable market is always crowded, especially during weekends and in summertime. 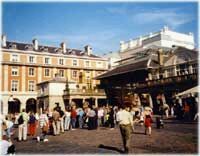 Covent Garden is known for its many open-air cafés, restaurants, pubs, market stalls and shops. Famous are the many street performers who entertain the visitors on the pedestrian piazza. 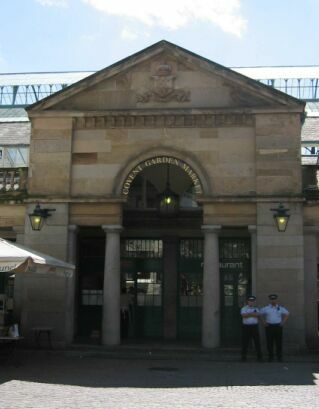 A former floral market now houses the Theatre Museum and the London Transport Museum. 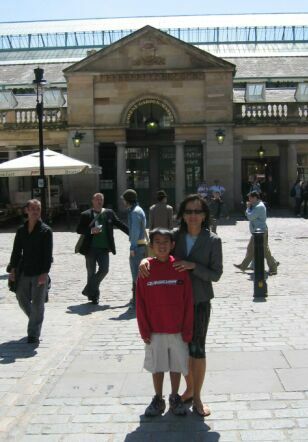 The Covent Garden district is also home to several theaters and the recently renovated Royal Opera House. 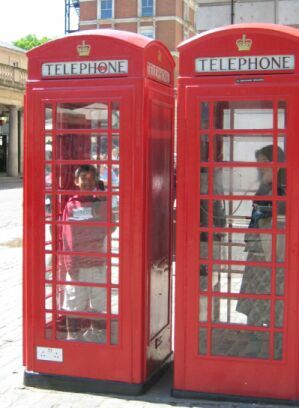 I like these phone booth. I was told they are a dying breed since the introduction on the cellular phone.